Oceanfront opportunity awaits from our newest Daytona Beach Shores condo listing, La Mer #203. This beautifully upgraded beachfront condo offers two bedrooms, two bathrooms, and more than 1,100 square feet of living space. The list price for this condo is $329,900. 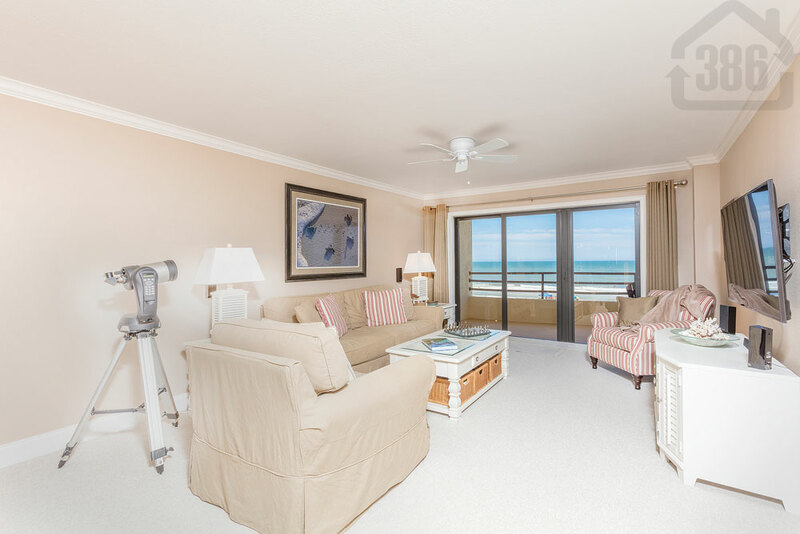 Our pictures are nice, but this is a condo you must see in person so you can imagine yourself on the sprawling balcony watching the waves roll in this summer. Custom features here include tile flooring, upgraded light fixtures, crown molding and a gourmet kitchen with granite counters and stainless appliances. The master suite has oceanfront balcony access as well. Call 386-527-8577 to schedule a private tour of the quaint yet quality condo community, La Mer.